ManageEngine offers cost-effective IT management solutions in PH! Home / managemachine / news / service / ManageEngine offers cost-effective IT management solutions in PH! ManageEngine, announced that they will better serve the country's organizations that uses I.T. on doing their business. 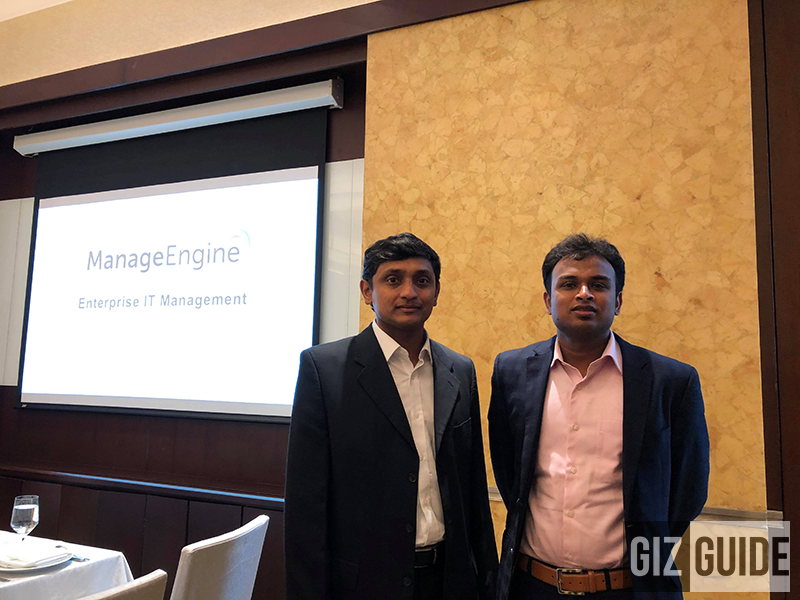 Since there have been a strong demand and fast-paced digital transformation over the ASEAN region last year, ManageEngine said that they will be adding new value-added re-sellers, system integrator, and channel partners. We bring in learnings, of serving a global IT audience for 16 years with 90+ products and free tools in the IT management space. This makes us uniquely positioned to help companies address he changing role of IT in the era of digital transformation. This I.T. management solutions company has business in the ASEAN region since 2005. They shared that they have seen a 20% growth in their revenue in this region for 2017 alone. ManageEngine anticipates that SMEs in the ASEAN region will also factor into its enterprise growth. Together with their regional partner, the IT Group Inc., they will be investing in partner training and certification programs, end-user workshops, I.T. management webinars, seminars, and trade shows. Start-ups and small business can access and utilize the 'freemium' version of ManageEngine's products. These "freemium" version of their products have been around as part of their effort to nurture the global I.T. system.